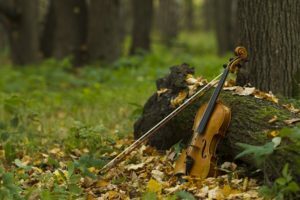 Why Natural Foundations in Music? It doesn’t take long to discover—maybe skimming a few parenting magazines. Research has proven that exposure to music at a young age is advantageous for children. Evidence has shown that music can enhance skills that children inevitably use in other areas of study. Music helps children, often simultaneously, draw from multiple skill sets. In a typical early childhood music class, a child may engage by listening, watching, analyzing, moving, and singing—all while using both fine and gross motor skills. It is no wonder that a study by E. Glenn Schellenberg at the University of Toronto at Mississauga, as published in a 2004 issue of Psychological Science, showed that children who participated in just nine months of music lessons demonstrated, on average, an IQ increase of 3 points higher than the other test groups. And a study published in 2007 by a University of Kansas professor of music education and music therapy, Christopher Johnson, concluded that students who attended elementary schools with superior music education programs scored 20 percent higher in math and 22 percent higher in English on standardized tests than schools with low-quality or non-existent music programs. We developed Natural Foundations in Music around the way we introduced our own children to music—surrounding them with music in such a natural way that it almost became a second language. Because of this, they could transition to playing an instrument with ease. Although our children have experienced the academic benefits of music, this was not our primary motivation. Rather, we wanted to help unlock the creativity deep inside of them while encouraging a profound love of music—producing sensitivity, discipline, and endurance to develop excellence not only in musicianship, but in all God has called them to do. Our prayer is that Natural Foundations in Music will surround families with music in such a natural way that it becomes part of who they are while unlocking their true identity as creative children of the first Creator—equipping them to offer those gifts back to Him in gratitude for His unending Grace. "As a music teacher of 24 years who has taught the Natural Foundations in Music curriculum, I can say with confidence that this program is beautiful, well-structured, creative, and enjoyable for all. I have seen it bring families together and give even the tiniest of babies a solid start with the language of music. The Hamiltons' books and recordings are treasures that bring childrens' music to a higher level than what I've ever found elsewhere. The quality is truly exceptional. They are consummate musicians, artists, and creators who treat children as intelligent young people and don't "dumb down" the material. This sets the stage for children to absorb, appreciate, and participate in music with a high level of fluency from the very beginning." "Natural Foundations in Music is a wonderful program for our two daughters (2 year-old and 1 year-old) - we all look forward to it each week! Ms. Lindsey has a knack for lovingly keeping the class on track while also allowing the children to be themselves. I have seen my older daughter transition to never singing out loud to singing regularly, showing interest in instruments, memorizing things with ease, and being more creative in her play. 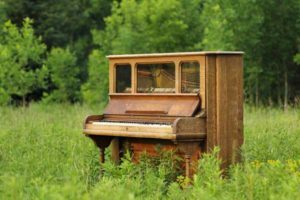 I have gained many tools to use around the home with them including CDs of class and classical music, song story books, play instruments, and ideas on how to use music to teach them how to do daily tasks. It is truly a special program, and I look forward to continuing to take semesters and transition to my girls learning instruments. I am so thankful for this resource." "My son and daughter and I absolutely adore the Natural Foundations Music classes. The classes are wonderful for speech and whole brain cognitive development and really prepare a child for future music study as it develops the neurons in the brain necessary for music and language study. As a music teacher myself, I appreciate the substantial curriculum and as a parent, I love that my children run into the class with glee and sing the songs with joy at home. I highly recommend this program!" "Natural Foundations is an amazing program! My 3 year-old and 6 month-old benefited in so many different ways and with the way the program is designed, it is easy to carry on at home. We absolutely love and adore Mrs. Lindsey. She is a very kind, gentle, and compassionate teacher. She really takes the time to get to know each child and adjust to each of their needs, which my 3 year-old really needed as it was his first time is a class setting. We also had Mr. David for a semester and he was just as wonderful. I am so thankful I was able to introduce my children to music thru Natural Foundations." — Caroline and Mark J. — Trey and Merideth T.
We couldn't have been more pleased with the music class. It gave my quiet daughter an extremely fun class while she was learning and the environment was a great place for her to come out of her shell. Mrs. Lindsey is extremely talented and creative with class material as well as her ability to teach and communicate with small children is unbelievable! I was humming the songs all week long. This class is wonderful. We have been coming a year and I can see my little girl grow after each session! She loves it and the teachers are amazing! I love the books we read about the composers. They are very interesting and have beautiful illustrations. Cassidy loves the bongo drums! My grandchild and I thoroughly enjoyed the class and the class reinforced our home care efforts to use music and rhymes for him to hear, learn and enjoy music from birth. The curriculum is very good and always enjoyable for my grandchild as well as for my daughter and me. All contents © 2017 naturalfoundationsinmusic.com. All rights reserved.